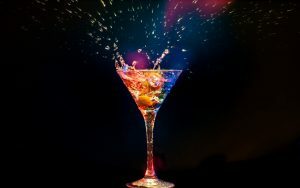 It’s that time again- not just another New Year’s Eve- but the end of the month blog from Nell Peters is here!! Buckle up folks- and pass the whisky! New Year’s Eve! Where did 2016 go? But suffice to say, I for one am glad it’s now slithering its way into the archives! Let’s start with the birthday line-up – on the starting blocks we have such luminaries as Donald Trump Jnr (OMG, there’s more than one? 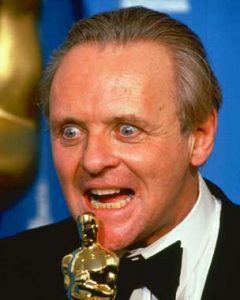 ), football bod Sir Alex Ferguson, actors Sir Anthony Hopkins, Sir Ben Kingsley and Val Kilmer (no knighthood, Val? Well, if you will be born in the US …), late singers John Denver and Donna Summer, explorer (not watchmaker) Jacques Cartier (my ancient Firebird once broke down while I was driving over his rotten bridge in Montreal) and painter Henri Matisse. Most important of all, our lovely niece Francesca Cerulli celebrates her 26th birthday today – her dad has Italian genes (the name gives a wee bit of a clue) and she has benefitted in spades in the looks department, lucky girl. Not too good at cooking pasta, though … Just kidding, Fran! 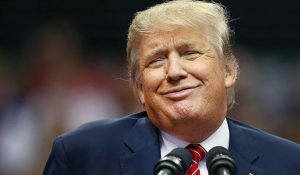 I normally shy away from making any even vaguely political statements on social media, but the thought that after Trump’s inauguration in January, the world will have the Vlad and Donnie Show in positions of unassailable power, their fat fingers hovering over the ultimate button, frankly scares the bejesus out of me. Even the likes of Michael Gove, Ed Miliband and Nigel Farage don’t look too bad, compared to that not-so-much-dream-as-nightmare team. Moving on; NYE in 1857, Queen Victoria chose Ottawa as the capital of Canada (she wasn’t amused by Victoria in British Columbia?) The city name derives from the Algonquin (Native American) word Odawa – which, incidentally, is exactly how Canadians (or Canajuns) pronounce it, just as they drop the ‘t’ in Montreal and the second ‘t’ in Toronto – meaning ‘to trade’. Assuming HRH didn’t just stick a pin in a map, its selection was strategic as a border stronghold. 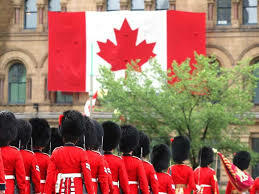 Ottawa is probably the most British city in Canada in terms of embracing the influence, (though it’s still of necessity bilingual) and surprisingly small for a capital, but it’s full of superb Victorian architecture and brilliant museums. They even have Changing of the Guard (yes, all dressed in red tunics, with bearskins!) on Parliament Hill – but sadly, only from June to August, for tourists. 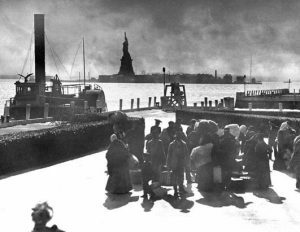 In 1892, across the border in New York, Ellis Island opened its doors as the official immigration processing centre for those in search of the American Dream. (By the time it closed in 1954, 15m people had passed through – that’s an average of 220,589 a year.) How immensely brave folk were to sail off literally into the unknown, many with hardly more than the clothes they wore. Scientists believe that Homo sapiens first arrived in the US via the Bering Straits about 20,000 years ago, and these were the forebears of the many Native American cultures which would people the landscape for thousands of years. Crossing the Atlantic for early settlers meant two to three months of seasickness, overcrowding, limited food rations, and disease. Eew – not exactly luxury cruising, but better than a ticket for passage on the Titanic, I suppose. However, the prospect of yours-for-the-asking land parcels and the hope of political and religious freedoms were pretty persuasive arguments. Among the early British settlers were indentured servants willing to trade four to seven years of unpaid labour for a one-way ticket to the colonies and the promise of land. Sounds like a slightly one-sided agreement to me? After seven long years of being a freebie skivvy, I’d expect to be gifted California, minimum. 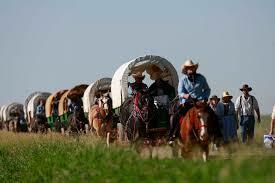 There were also convicts among the newcomers – many thousands transported from English jails. And we always think of Australia as our go-to penal colony. The merging of Europeans and Native Americans was not always peaceful (I’ve seen those John Wayne cowboy movies – wagons ho, or there’ll be heap big trouble and a few unscheduled haircuts) and cultures clashed, leading to violence and the spread of new pathogens. Whole tribes were decimated by diseases like small pox, measles, and the plague. And don’t forget how badly these usurpers behaved generally, riding roughshod over tradition, beliefs and land tenure. How rude! When I lived in Montreal, a friend’s old bat of a mother-in-law was slagging off the indigenous race as leeches on the economy, plus a whole lot of other things bad – and when I ventured to disagree (quite bravely, as she was one big momma with a viper’s tongue) she looked down her nose at me and said imperiously, ‘Well, you know, they are allowed to live on Reservations!’ Be still my heart … This is someone born and bred in the second most French city in Quebec Province, where the official language has been French since 1974, but who never actually bothered to learn the lingo. OK, enough New World ramblings – Marie Curie (the scientist, not the cancer care organisation that bears her name) accepted her second Nobel Prize on this day in 1911 for Chemistry, having shared the prize for Physics in 1903. 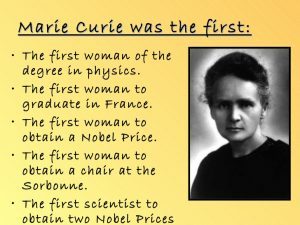 She was the first woman to win a Nobel, and the first person/only woman to win twice. Kind of puts Bob Dylan into perspective, doesn’t it? Born Maria Sklodowska in 1867 in Warsaw, she was the youngest of five children of poor school teachers. After her mother died and her father could no longer support her, she became a governess, reading and studying in her own time. Becoming a teacher – the only route which would allow her independence – was never an option, because lack of money prevented her from formal higher education. However, when her sister came up trumps (sorry!) and offered her lodgings in Paris so she could go to university, she moved to France in 1891. She enrolled at the Sorbonne (when I was a young and foolish student, I once spent the night there, sleeping in the mortuary on a dissection table – don’t ask!) where she read physics and mathematics. It was in Paris, in 1894, that she met Pierre Curie – a scientist working in the city – whom she married a year later and adopted the French spelling of her name, Marie. Her achievements included the development of the theory of radioactivity (a term that she coined), techniques for isolating radioactive isotopes, and the discovery of two elements, polonium and radium. Yeah, Bob, nice lyrics – AND Marie Curie turned up to accept the award. So, who is going to make a New Year resolution? There will be the usual suspects, like giving up junk food and/or dieting/eating more healthily; stop smoking/drinking too much; embark upon a regular exercise regime (that’ll last until 3rd January at least); stop wasting money on fripperies, yada, yada. 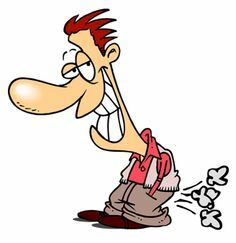 I looked online and found a list of 100 resolutions – apart from the obvious, there was, stop twerking (7 – or start, in my case); quit farting so much (16 – I’m saying nothing! ); stop playing Candy Crush Saga (28 – please note, those FB friends who keep sending me requests which I steadfastly ignore! ); don’t buy the latest iPhone (32 – fine by me, as my mobile is a five year-old, basic Nokia); find Nirvana (38 – far out, man! ); become more cultured (45 – that’s after you quit farting so much, presumably); drink more water (46 – why, when there’s still wine in Tesco? ); quit picking your nose (62 – see 45); get a tattoo (66 – why? ); keep a cleaner house (73 – again, why? 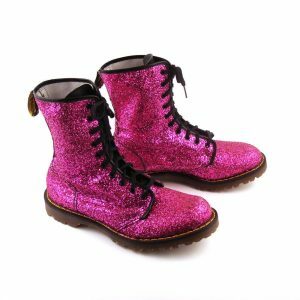 ); write more (76 – what’s this, chopped liver? ); read more (97 – I wish! ); become an expert at something (100 – like composing dumb lists?) I’ll leave it to you to extract the bones out of that lot. Traditionally, on the stroke of midnight on 31st December, the English would open the back door to let the old year out, and ask the first dark-haired man they saw to come through the front door carrying bread, salt and coal. (Did he have to patrol the streets carrying that lot, in the hope of being invited in somewhere?) Symbolically, that meant that for the following year everyone in the house would have enough to eat (bread), enough money (salt), and be warm (coal). Nowadays, those of us who don’t venture out to lurk – freezing our socks off – in Trafalgar Square or similar to see in the New Year, or pay exorbitant prices to attend a formal function, slum it sitting round the TV watching Jools Holland and his cronies cavorting around the studio to present the annual hootenanny. 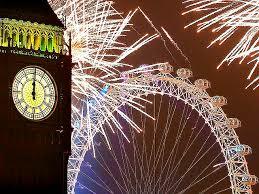 There is a countdown to midnight, courtesy Big Ben’s bongs (nice alliteration! ), followed by a rendition of Auld Lang Syne, often with the Pipes and Drums of the Scots Guards. All a bit naff, when you consider it’s pre-recorded. The Scots celebrate Hogmanay, the name taken from an oat cake that used to be given to children on New Year’s Eve – I imagine they’d rather have had a chocolate bar. In Edinburgh there’s a huge ticket-only party from Prince’s Street to the Royal Mile and Edinburgh Castle – the only year we were there, it was cancelled due to foul weather. In Scotland? Surely not! Those who stay home observe the tradition of first-footing at the stroke of twelve – ie the first person to set foot in a house is thought to affect the fortunes of everyone who lives there for the coming year. Strangers are supposed to bring good luck – except when they fill their swag bags and abscond with the family silver, of course. New Year’s Eve is Nos Galan in Welsh, and whilst they also believe in letting out the old year and ushering in the new, if the first visitor after midnight is a woman and a man opens the door, it’s considered bad luck. Uh-oh! Plus, if the first man to cross the threshold has red hair, that’s bad luck too. I guess gingers don’t get too many invitations to parties, just in case they time their arrival badly. The Welsh believe you should pay off all debts before the New Year begins, or you’ll spend the whole of the next year in the red – maybe there’s some tenuous connection with those poor carrot-topped chaps being so unpopular? On New Year’s Day (Dydd Calan) Welsh children get up early to visit their neighbours and sing songs. They are given coins, mince pies, apples and sweets for singing – or, more likely, to go away. Shrill little voices warbling on the doorstep is not really what you need first thing, if you’re nursing a hangover from the night before. Whatever, this fizzles out by midday. My job here is done. Thank you for having me again, Jenny. Happy New Year! Or A Guid New Year! Or Dydd Calan Hapus! Many many thanks once again to Nell for a fabulous blogs this year. And thank you to all of you, my lovely readers. This is a great post – really enjoyed it! Happy New Year to you! A rollicking good read as ever. 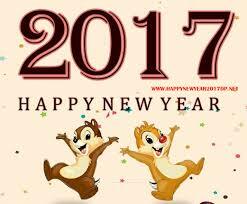 Thanks ladies and Happy 2017 to you and yours.